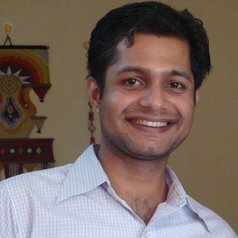 Chetan Choithani is currently doing his PhD in Human Geography at the University of Sydney as a recipient of Prime Minister Australia-Asia Endeavour Postgraduate Award. Chetan’s doctoral research looks at the role of migration as a livelihood strategy in influencing food and nutrition security outcomes among rural households, within the broader frameworks of poverty, inequality and vulnerability. Chetan holds a Master of Arts in Globalization and Labour from the Tata Institute of Social Sciences, Mumbai (India), and a Master of Population Studies from the International Institute for Population Sciences, Mumbai (India). His research interest lies in public policy analysis of various aspects of demography, food and nutrition, rural development, labour migration and informal labour.